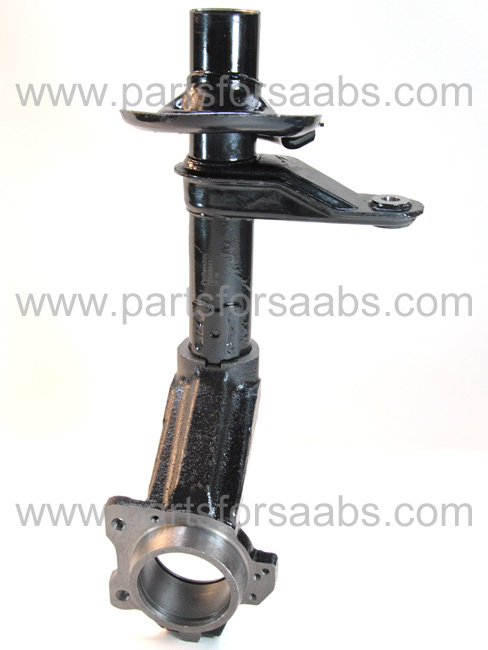 Swedish supplied aftermarket part, commonly referred to as a Suspension Leg, Front Damper Insert Housing, Steering Knuckle Housing or Strut Leg. This part is highly prone to failure, the Leg can rust at the top where the Strut insert screws in. This part is no longer available from Saab. Right hand as when sitting in the car.